Congratulations 2019 Nonprofit, Volunteer, Youth, Leader, Young Professional, and Ambassador of the Year Award Winners! Over 500 members support the Chamber and are growing their business every day. Looking to grow your business? Come to one of our Chamber Breakfasts or Mixers! A beautiful mountain town less than 30 minutes from Denver. Our local professionals are here to help! Enjoy sculpture walks, art galleries, festivals and more. Explore our live music venues, breweries and world-class restaurants. 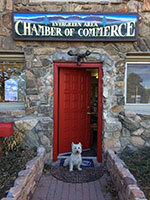 Welcome to the Evergreen Area Chamber of Commerce! For almost 50 years the Evergreen Area Chamber of Commerce has proudly been serving the mountain community providing local business recommendations and community information. Our mission is to grow the local economy by building business relationships, promoting the community and representing local concerns with our county government. 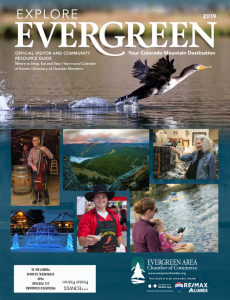 At an elevation of 7,200 feet, Evergreen offers an array of parks, art galleries, theater, restaurants, entertainment, recreation and a variety of outdoor activities. 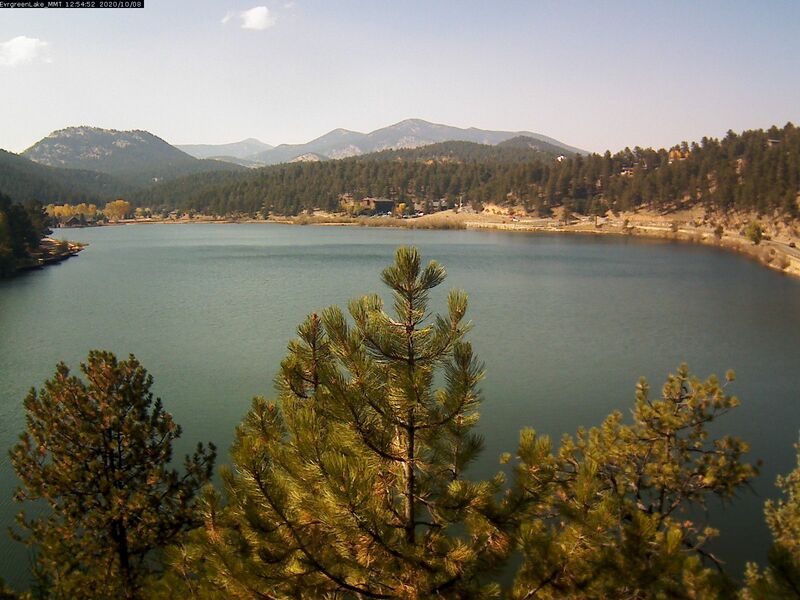 Evergreen, Colorado is situated close to Denver while still maintaining its mountain-town feeling. Evergreen Lake was voted one of the top ten most scenic for ice skating in the world, it is bordered by mountain parks with miles of trails and a golf course! Official Visitor and Community Resource Guide. Where to Shop, Eat and Stay, Year-round calendar of events, Directory of Chamber Members and more! Hard copies of the Magazine available the Evergreen Chamber. - Click HERE to Download Magazine App for Android. - Click HERE to Download Magazine App for Apple. Click on image to see larger view. Shift Refresh your browser to see updated image (occurs every 5 mins).